Professor Zhiguo He serves as a Professor of Finance, PhD area advisor, and Faculty Director of Fama-Miller center at the University of Chicago, Booth School of Business. His main research interest lies in the implications of agency frictions and debt maturities in financial markets and macroeconomics, with a special focus on contract theory and banking. He focuses the role of financial institutions in the 2007/08 global financial crisis, and his work has been published in leading academic journals including American Economic Review, Econometrica, Review of Economic Studies, Journal of Finance, Review of Financial Studies, and Journal of Financial Economics, and he is serving as Associate Editor for both Journal of Finance and Review of Financial Studies. Professor He is teaching a newly created elective MBA course on “Chinese Economy and Financial Markets.” He is also conducting active academic research on Chinese financial markets that are undergoing rapid development these days, including stock market, local government debt, shadow banking, interbank markets, together with recent regulation changes. The other area that Professor He is actively working on is Blockchain and related economic issues. Professor He received his bachelor and master degrees from Tsinghua University in Beijing, and obtained his PhD from Kellogg School of Management at Northwestern University. He has been named a 2014 Alfred P. Sloan Research Fellow, and has won numerous awards for his outstanding scholastic record, including Lehman Brothers Fellowship for Research Excellence in Finance in 2007, the Swiss Finance Institute Outstanding Paper Award in 2012, the Smith-Breeden First Prize in 2012 and the Brattle Group First Prize in 2014. 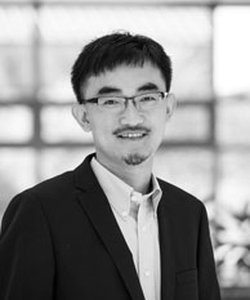 Before joining the Chicago Booth faculty in 2008, he worked as a stock analyst at the China International Capital Corporation in Beijing in 2001, and was visiting the Bendheim Center for Finance at Princeton University as a post-doc fellow. Join us for an invitation-only CFO Forum to be held at the University of Chicago Booth School of Business' Gleacher Center. As a CFO and a graduate of Chicago Booth, you are part of an exclusive community that gathers with each other and Chicago Booth faculty to debate and provide context to the most pressing issues facing executives.